How rare is #229 with big red '2' ? Here is a #229 with that big red '2' on it. How rare is that stamp ? 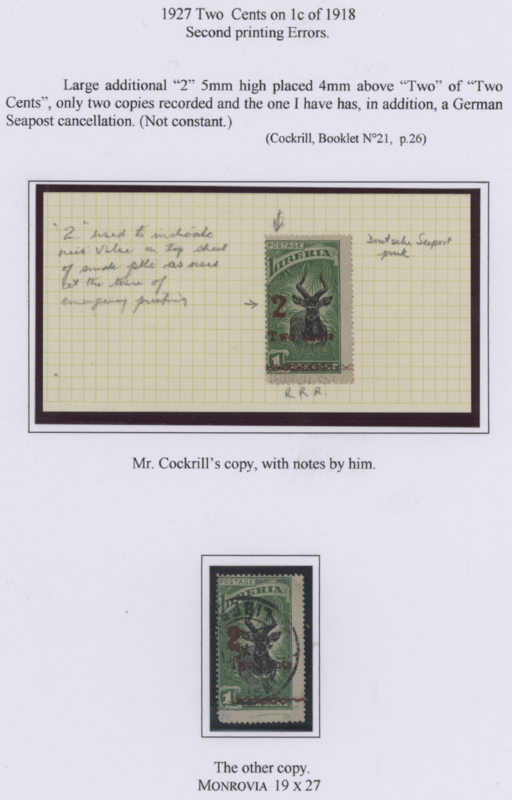 I knew about that stamp from Philip Cockrill over 45 years ago after I joined LPS in 1972. 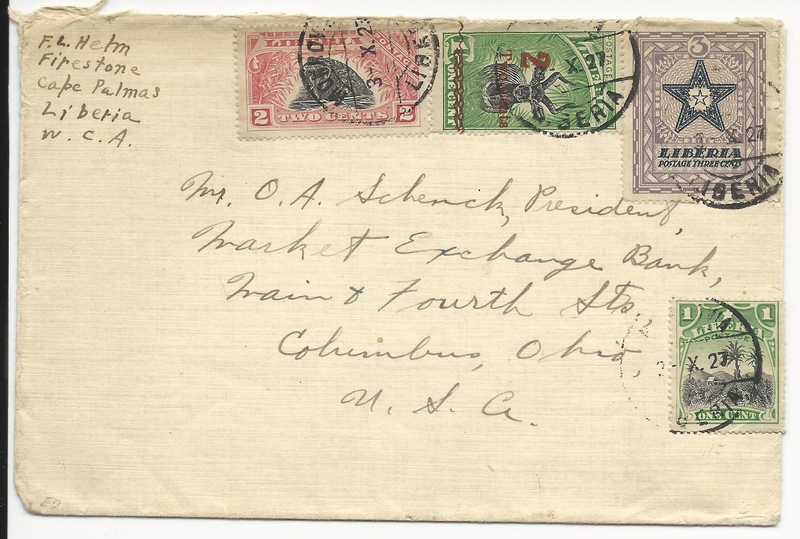 There was a stamp dealer in Dallas, Texas named S.S. Kahn who would be at the stamp shows in Dallas. He had meet Philip years before in England. I started buying Liberia from Mr. Kahn in 1972. He gave me Philip's address in England and I wrote to him many times overs the years. It was he that told me about #229 having a big red '2' on it. But I never saw one till just a short ago. These stamp came from a very large collection that Marvin Nee was selling off. But I was unable to get one one till a short time ago. See page 26 of Philip's booklet no.21. Philip said 'only two copies recorded' I think both have a German Seapost cancel on them. I have one now and I know of the other one in another collection. So how rare is rare. Who knows. Thanks for posting this. I have this on cover, from the Weaver collection, and I believe it is also the cover referenced in Rogers book. I talked to Henry about this stamp once. He thought that the "2" was handstamped on the top sheet of a stack of sheets to indicate the value that needed to be surcharged to all the sheets. So, it is likely not part of the typeset of the surcharge. Yours is only the second I have seen. If Henry is correct, then there 'could' exist only one for each overprint type. Both ours are 1927 overprints, but different typesets. Maybe it exists only on the 1927 overprints? But maybe also for the 1923 & 1926 overprints? Keep a look out. No more an a handful 'should' likely exist. If this was a "standard Liberian PO process", should we possibly expect something similar on other surcharge issues during this time? Great cover with the big red '2'. Thanks for the post. Anymore info on this big red '2' ? How many more are out there ? The ex-Cockrill stamp with the faint SEEPOST cancel is now in my possession. I don't know who bought the other stamp. The left one even looks like a double overprint. BTW, according to Liedtke this variety occurs at position 44 of the overprinted sheet, but I doubt that the person responsible for this overprint would have bothered to always aim at the same position when adding this handstamp to the sheet. So I will close now and ask if there are more to report, please do so. I don't think we answered the question as to "how rare is this stamp". If Cockrill is correct in thinking the 2s are values for stacks of stamps, then the number produced is basically limited to the number of stacks of stamps. So in this scenario, maybe there is another handful out here to be found... making about a dozen in total for ordinary stamps. Just a guess. But a 50% "preservation/collection rate" is pretty darn high for stamps! 2) the "2" is uncannily placed just off the Bongo's right ear, regardless of the placement of the "two cents" or "wavy" typesets. 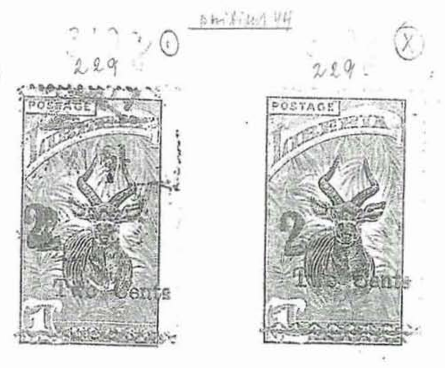 I would have thought that if this was a "value placement" on a stack of stamps, then it would be a lot more random, and most likely in the margins. 3) there is a double overprint, or a "loose 2" that looks like a double overprint. 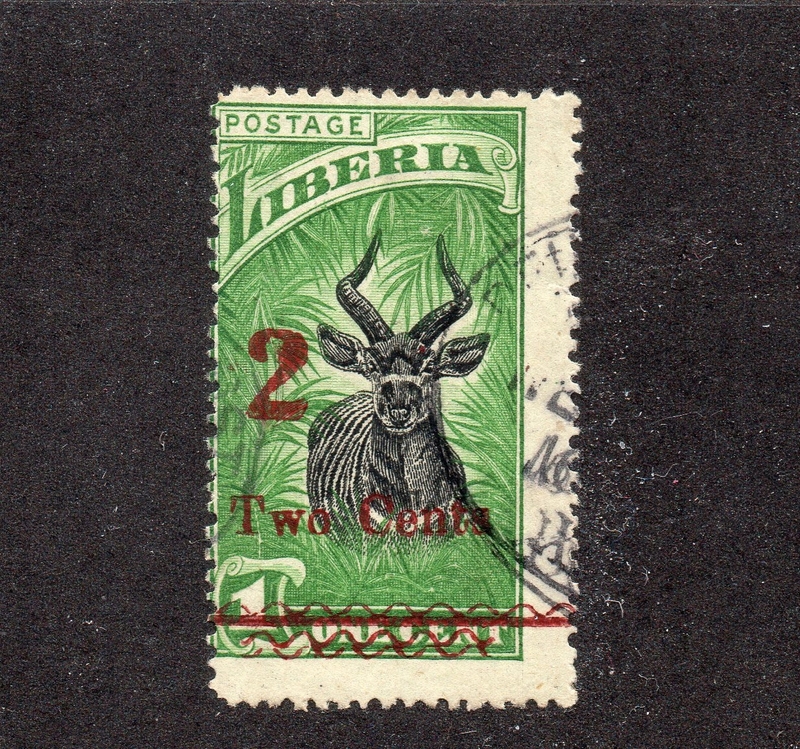 So, I think this "2" was an additional typeset specific for only the second printing ordinary stamps. The static "2" placement on stamps is combined with different wave and text varieties, so the "2" was placed on different lines, and on different stamps. If I'm correct, the question now is how many sheets of 50 were overprinted with "2"s? Maybe only one or two? Having a 50-100 or so made makes a bit more sense, given 6 are now known. Maybe Cockrill had only seen one example? With a nice scan of each, it would be fun to look at them in detail to try to type/plate the text or waves, compared them to any second printing blocks that may exist. And if we ask why this was done, maybe Cockrill's second printing is actually the first printing (as the defined second printing it is a whole lot sloppier! ), and initially they planned on using the additional "2", but decided against it as it seemed redundant... of course, after printing a few sheets! Cockrill lists two reference papers on booklet #21 (Webb & Emery). If anyone has a copy of these let me know, I'd be interested in reading them. Since 6 are known, I'd call these "very scarce". Rare would be 5 or less, but different people have different scales. Bryant asked about those 2 papers that Cockrill listed in booklet #21. I have copies of both if anyone would like a Xerox copy. Just let me know where to send them. Albert, I would love copies of those two papers, Could you send a photocopy to alan@mailzone.com? Many thanks! Albert, I tried to send you a personal note via this forum. I'm not sure if you got it. I would like a copy of the papers. Send them to bryantekorn@gmail.com. Thanks. Are there anymore than 6 copies ?